Automatic thermal overload protection, motor cuts out to prevent overheating, resetting automatically within 30-60 minutes. Suitable for domestic shower and bathroom applications. Carbon graphite and high density aluminium oxide ceramic seals. Regenerative Twin Impeller Shower Pump 1.5 Bar is rated 4.7 out of 5 by 3. 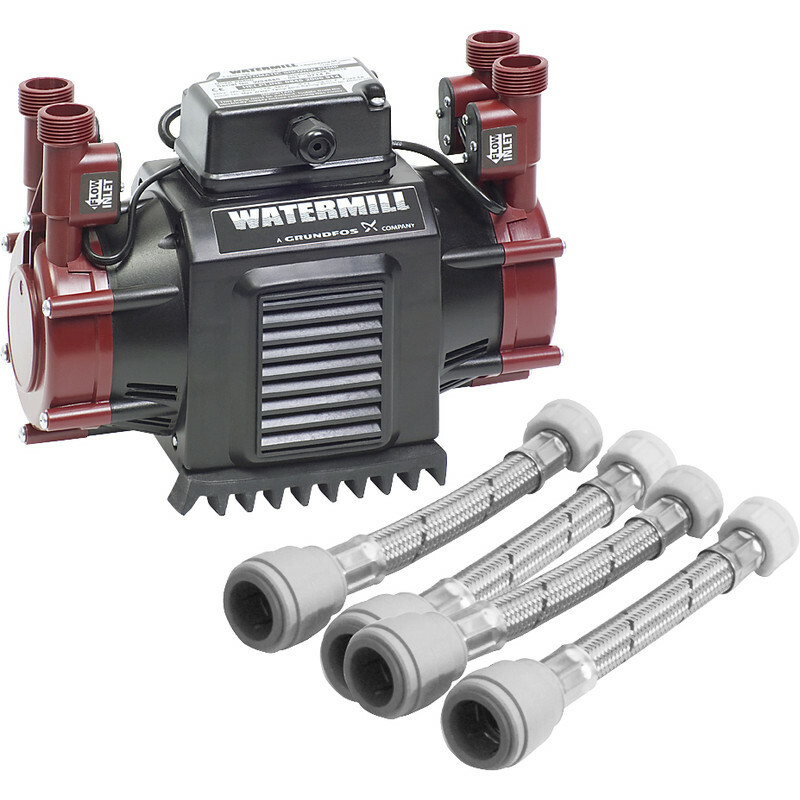 Rated 5 out of 5 by Ninos from One of the oldest and best pumps Best value.excellent product. Rated 4 out of 5 by Ro Ro from It's surprisingly heavy! I have one of these pumps for almost two years when it failed and the pumped water dripped though into my kitchen below. I bought a replacement which arrived quickly, and was all set for my heating and plumbing man to come and fit it. Luckily, being a clever chap, he read the fitting instructions supplied with the pump before installing it and found that this model should not be fitted to pressurised water system such as mine. Amazing therefore that the first one lasted as long as it did! It is heavier than it looks so presumably of sturdy construction, and comes with John Guest push-on connections and washers, and strainers for the input side. Incidentally, Toolstation does not specify on its website that it isn't suitable for pressurised hot or mains feed cold water. Rated 5 out of 5 by Aidfont from Great value and British made Good value pump with enough water flow even through 15mm push fit pipe. The unit does come with 22mm outlets on the flexis for larger installations.